IN THE NAME OF THE RESGUARDO QUERUBIN QUETa WE WANT TO THANK YOU FOR THE SUPPORT AND HELP. 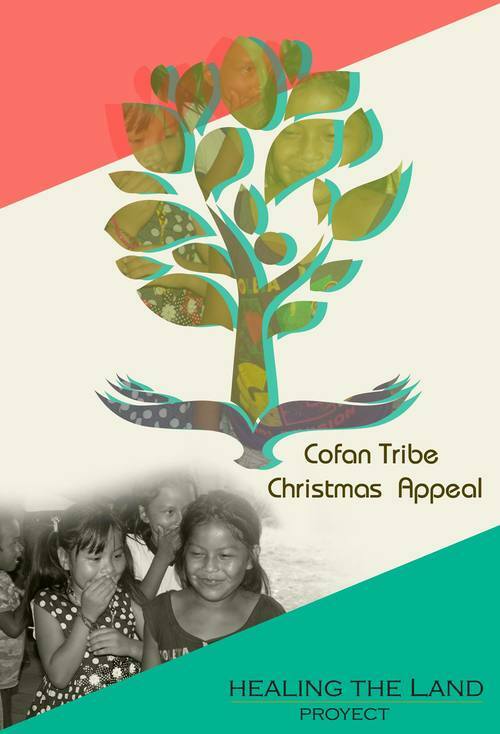 THANKS TO YOU THE COFAN TRIBE AND THEIR CHILDREN HAD A CHRISTMAS CELEBRATION. As you may be aware we are currently working with the Cofan Tribe in Putumayo, south region of Colombia in the Amazon. The governor of the Resguardo Jardines de Sucumbios, Lorenzo Morales, recently contacted me. He was asking for help and assistance for the children of his community. Due to the current political and social situation they are facing in the region, this year they will not received any assistance from the government this Christmas, thus the children and their families will not have a Christmas celebration this year. Their Christmas celebration is not just about buying presents for the children that of course is a good enough cause, but is also an opportunity for all the families to be together including the non indigenous families that share the territory with the Cofanes. Taking into account what this community is going through at the moment, any opportunity to celebrate and be together is a great opportunity. Thus, we are asking for donations to buy the children presents and also to buy food so that they can have a communal dinner and celebrate. For more information about the Cofan tribe and their struggle to defend their territory, their land… Our Land. Clothes to donate are also welcome; please get in touch before the 1st of December 2015 to arrange collection.